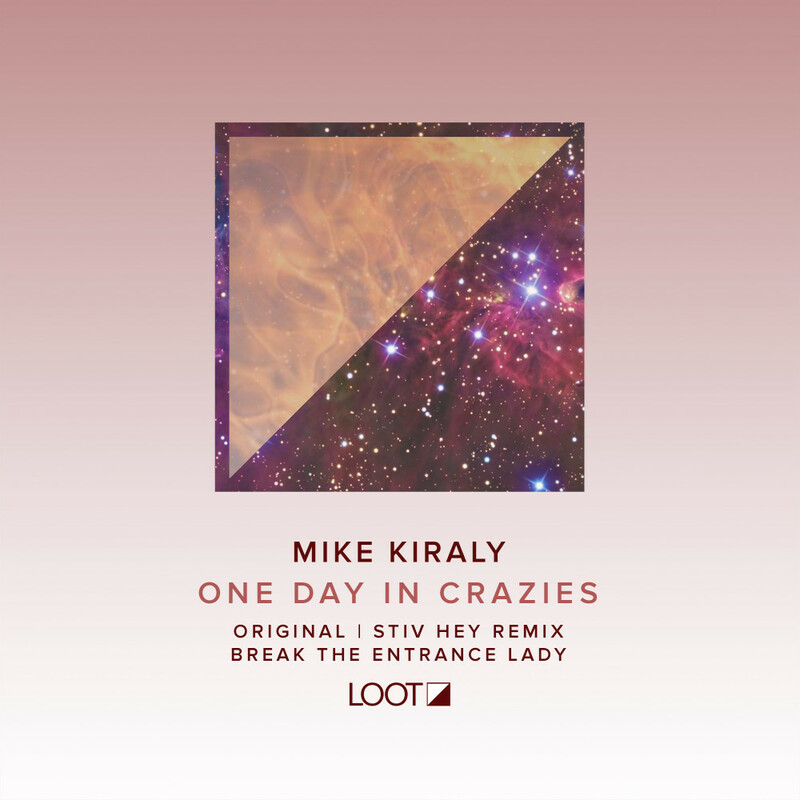 Loot Recordings proudly presents our second release from industry veteran producer and engineer Mike Kiraly. “One Day In Crazies” is deadly on a proper big room system. Featuring a simple progression and a properly devastating sub-bass line, this track will lure the dance floor in as it slowly builds tension and anticipation. Don’t let it’s subtlety fool you – “One Day In Crazies” is a killer. Italian techno talent Stiv Hey turns out a remix that’s massive. With a galloping bass line, menacing synth stabs, explosive build ups of percussion and effects in all the right places, this one is a true dance floor bomb that freaks out the key elements of the original with a Stiv Hey twist. Rounding out the EP is “Break The Entrance Lady”, a laid back groover with a hypnotic bass line and downright twisted vocal samples. On display here is Kiraly’s trademark sound design which focuses on intricate effects to keep listeners grooving and intrigued throughout the entire track.